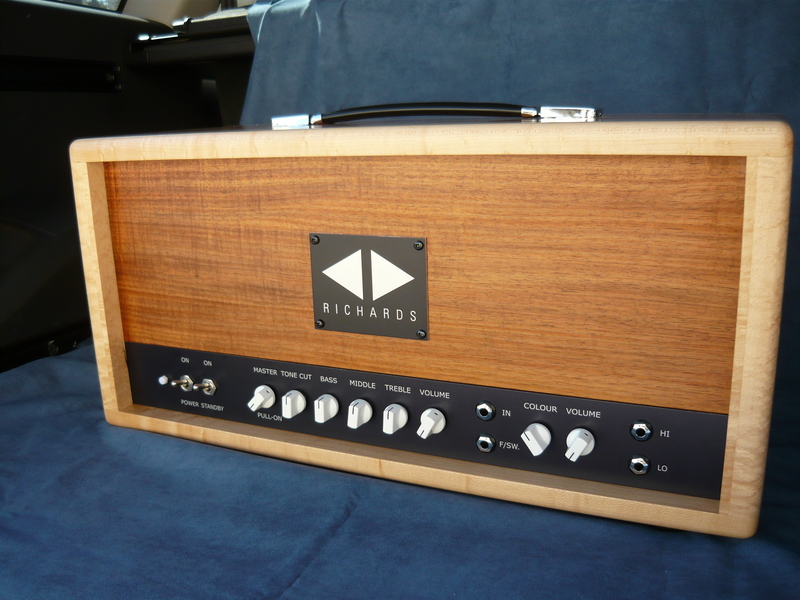 Hello – in this week’s blog we take a look at a new model of the Richards amp, recently completed for Mark T., of Melbourne. 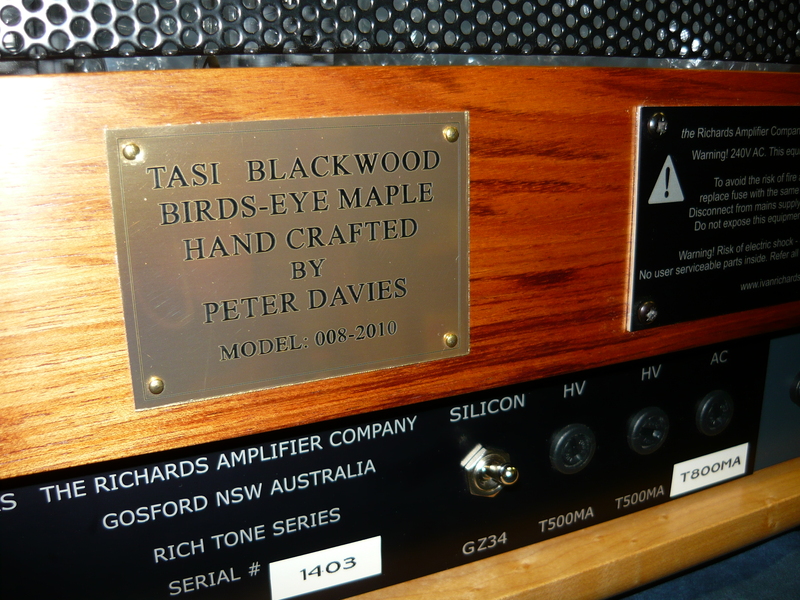 The amp is stunningly presented in a cabinet handcrafted from Tasmanian Blackwood (with Bird’s Eye Maple edges) by my good friend Peter Davies, now also resident in Melbourne. 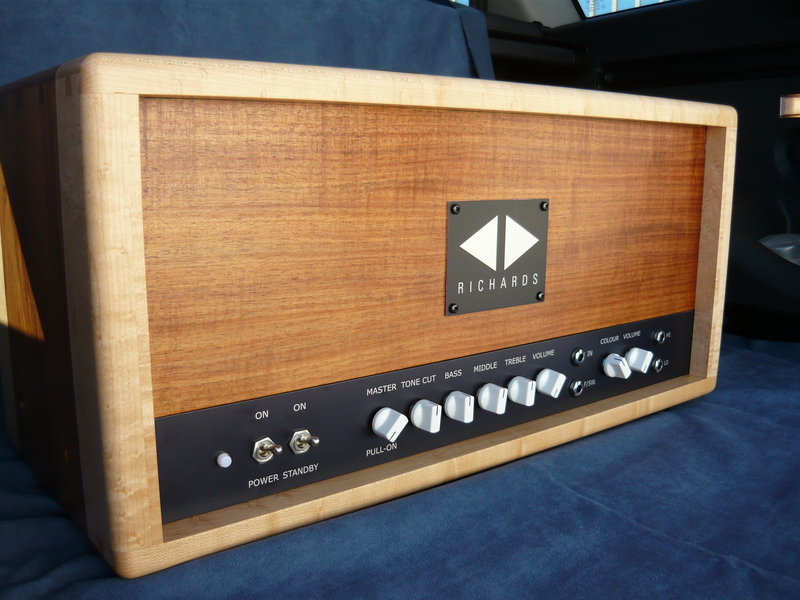 This is actually Mark’s 2nd acquisition of a Richards amp – his original purchase is an Expressionist series amp, actually the 15W Studio Expressionist model, which is switchable between EL84 & 6V6 power output valves, with a very British front end. Mark has been recording & performing with that amp together with those very fine Scumback speakers with his original music project for the last few years. As you can imagine, we are extremely gratified by such return business, with some individual customers investing in not just one amp, but two or three ! The Rich Tone series amps could be described as the further evolution of the Expressionist models, offering vintage Brit tones from 1959 to 1965 & beyond, but instead of an EL84 valve power amp section, the Rich Tone offers 6V6, EL34, KT66 or even KT88 power output valves. The front end is actually exactly the same as the Expressionist amp, but with the addition of a midrange control on CH-2. 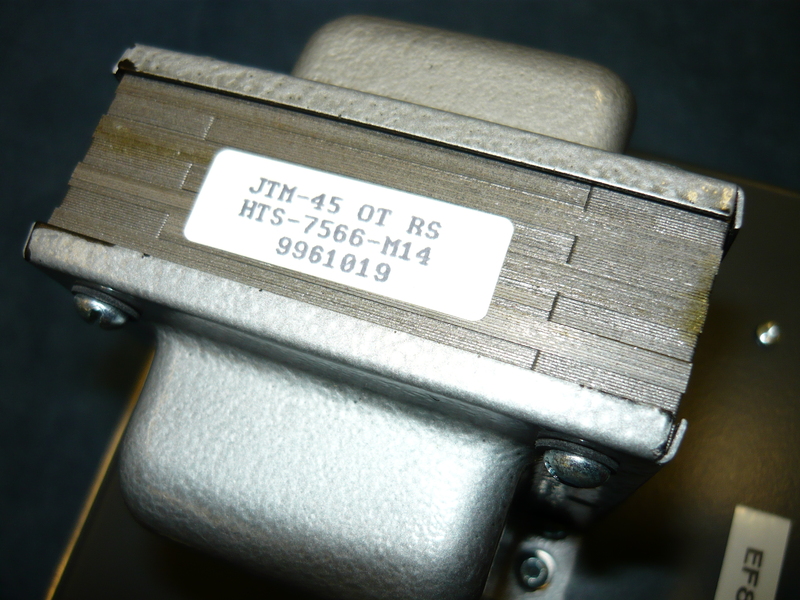 The phase-inverter stage onwards though is completely redesigned & optimised for the customer’s choice of output valves. 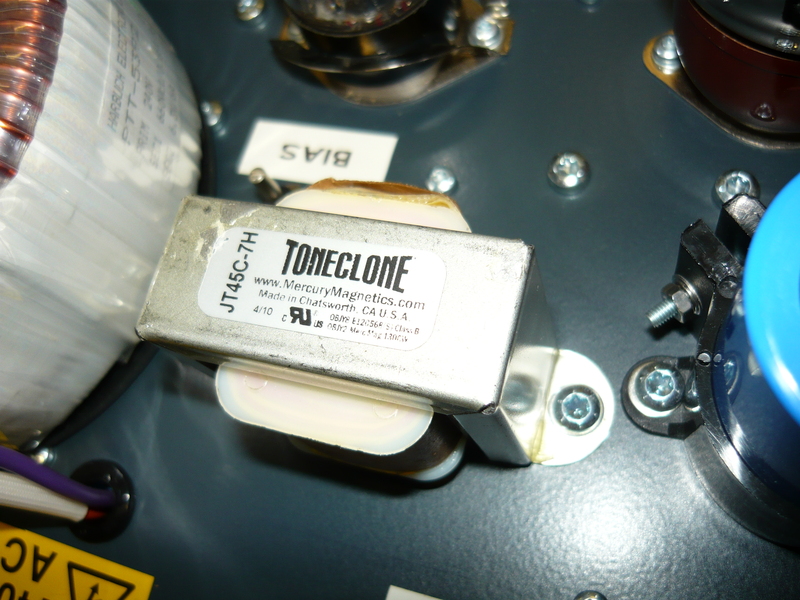 The end result is a unique blend of classic valve (tube) amp voicings. 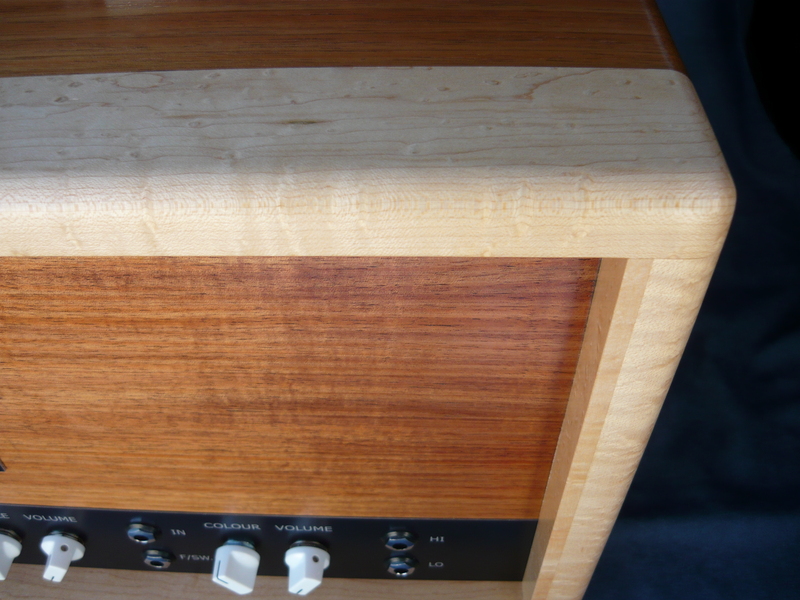 This new model is definitely our current flagship amp ! After the amp underwent its quality control testing, I took it to the Rock God Music School, just around the corner, for a play test at stage volumes. Jonny Gardiner from the Nevilles supplied the talent, and also an Orville Les Paul loaded with boutique pickups, plus a Telecaster loaded with Mick Brierley pickups. We hooked up to Jonny’s favourite Marshall quad box loaded with very well played in G12H‘s, and a Richards 1X12 loaded with the WGS ET-65, which is voiced like the Celestion 65W, ie it sounds like a beefier “Greenback”. Both these cabs sound great. No pedals were required ! What were our impressions ? Just mind alteringly good !! 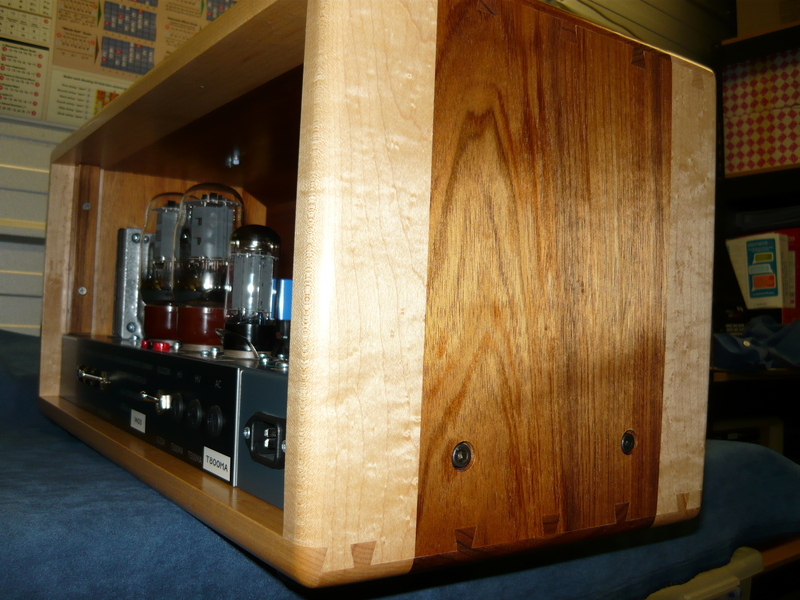 This amp has changed both our perceptions and parameters about what a hand-wired valve amp can (& should) deliver. Pretty much every “British” sound from the last 50 years was in there, obviously including old VOX tones, very early Marshall, even Keith Richards slamming away on a Telecaster tuned to open-G into every amp Keef ever owned. It’s all in there at any volume level. 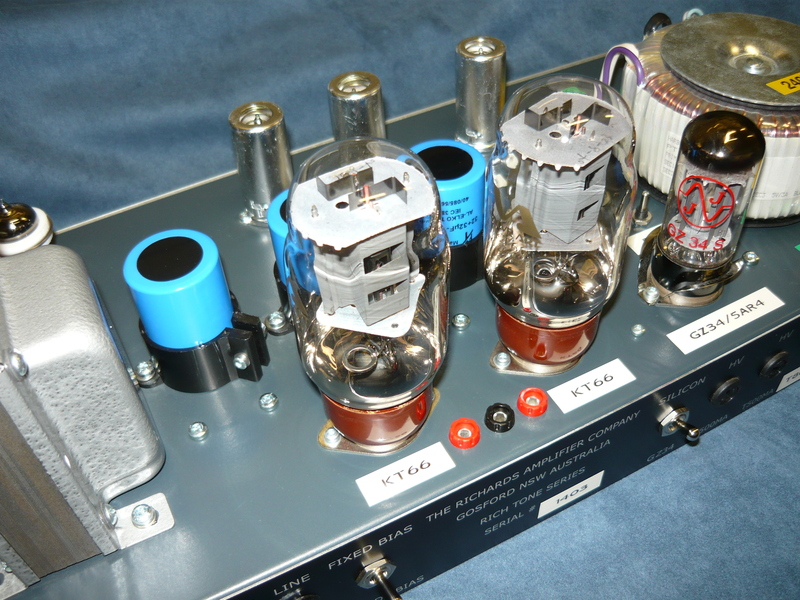 The GZ34 rectifier can be bypassed, and the KT66’s can be reconfigured for Class-A/cathode-bias operation. The combination of KT66’s & the reverse-engineered RS Deluxe audio output transformer definitely gives this amp the most unique clean & overdrive characteristics. Many thanks to Mark for his continued custom, and to Jonny Gardiner for his assistance in putting this amp through its paces. This entry was posted on June 9, 2012 at 10:51 am and is filed under Amps. You can follow any responses to this entry through the RSS 2.0 feed. You can leave a response, or trackback from your own site.